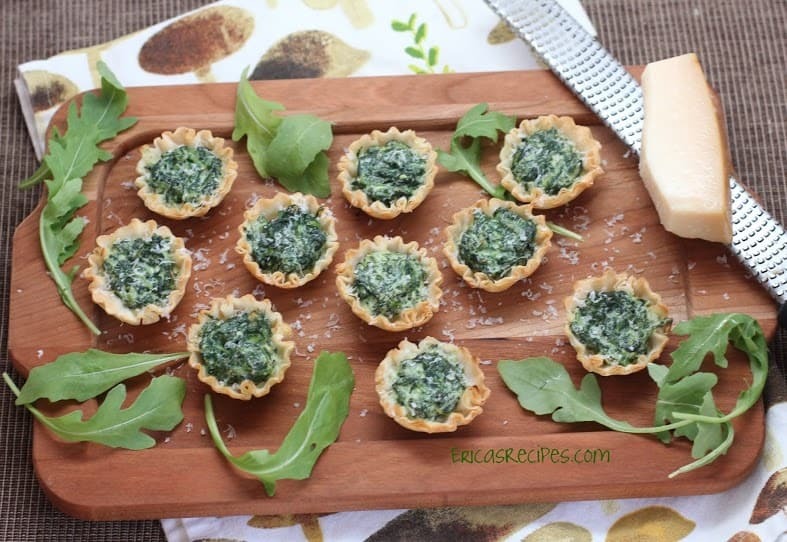 Spinach and Arugula Tartlets are pretty little, perfect party bites! 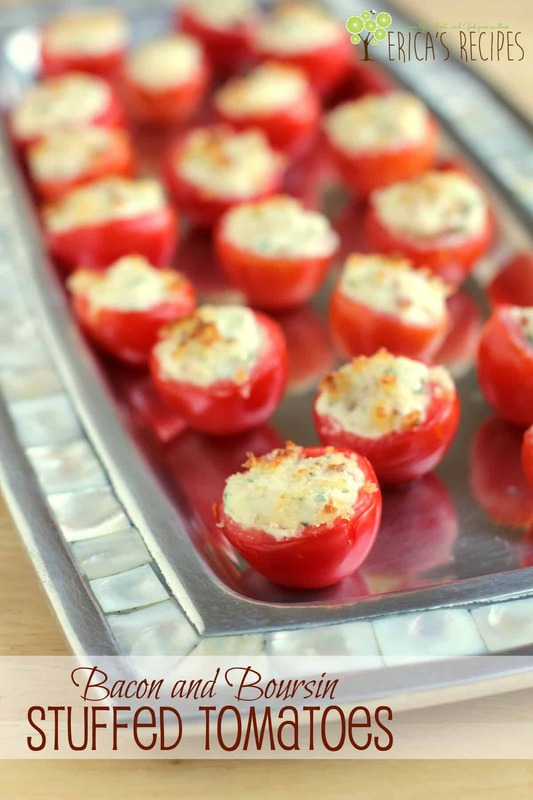 Purchase the fillo (or phyllo) shells in your grocer’s freezer section, fill them with this easy filling, and give them a quick bake. 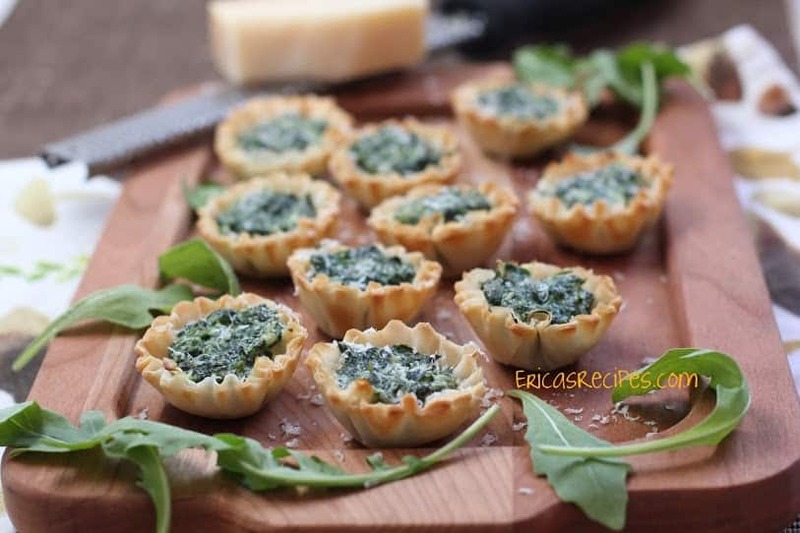 Reminiscent of spanikopita, but brightened with peppery arugula, these scrumptious appetizers will please your crowd. 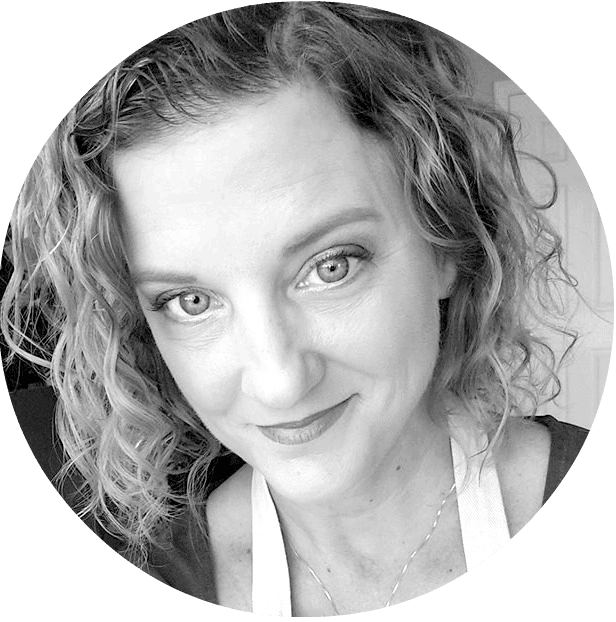 I love spanikopita with a passion, but they really are a labor of love. So I made this recipe up to get that spanikopita fix, but these little yum-yums are so much easier to make. 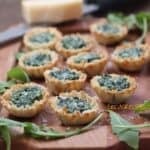 Here I use store-bought fillo shells and a yummy filling with spinach, arugula, egg, and plenty of cheese. I added the arugula for a delicious twist, and pretty much just because arugula is awesome and my favorite. 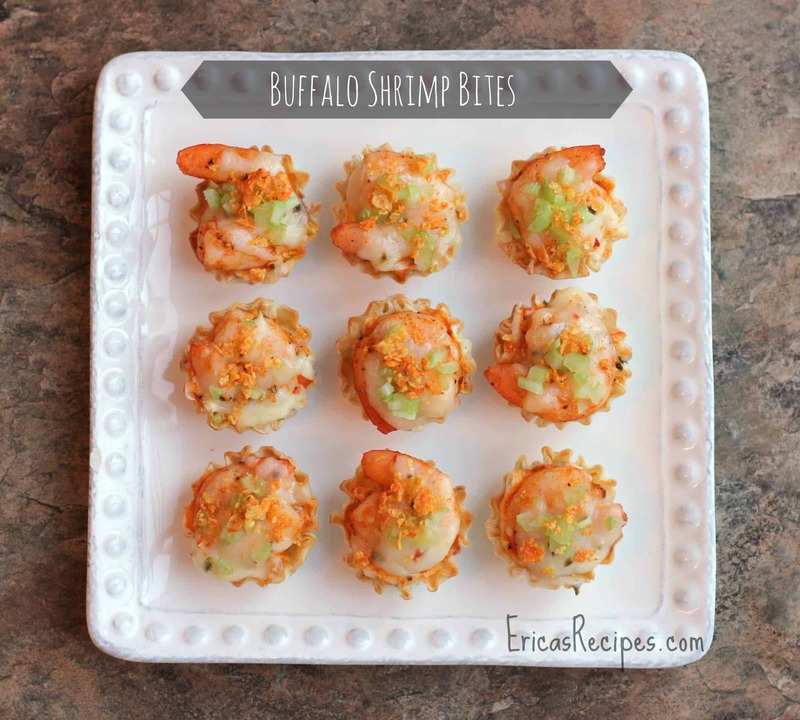 The result is a fast and easy appetizer that is elegant just the same. You will not be able to stop at just one bite! 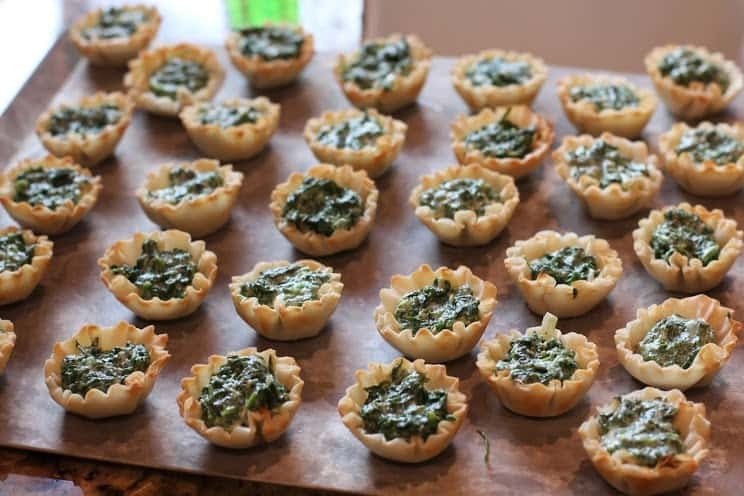 Reminiscent of spanikopita, but brightened with peppery arugula, these scrumptious bites will please your crowd. Saute the onion and garlic for ~30 sec in the olive oil. 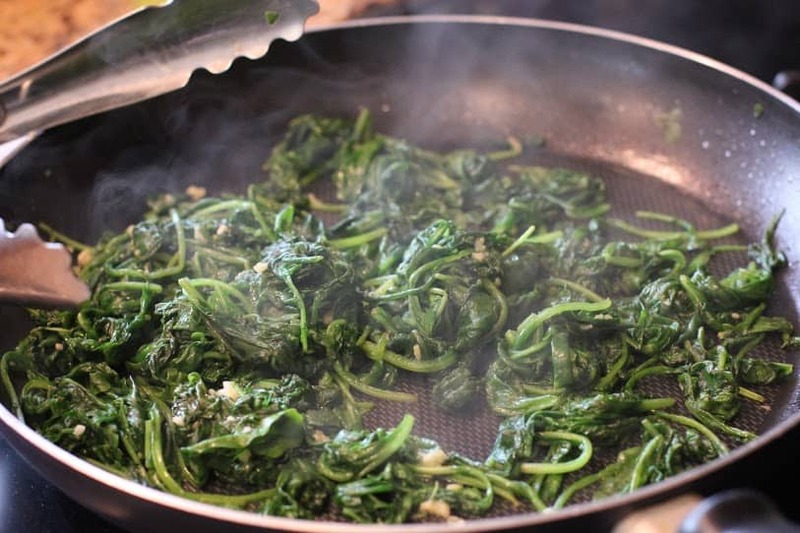 Add the spinach and arugula; saute until the greens are very wilted and yummy. Put the greens in a kitchen towel and squeeze out the water (using kitchen tongs helps because it's still hot). Put the greens on a cutting board and chop well. 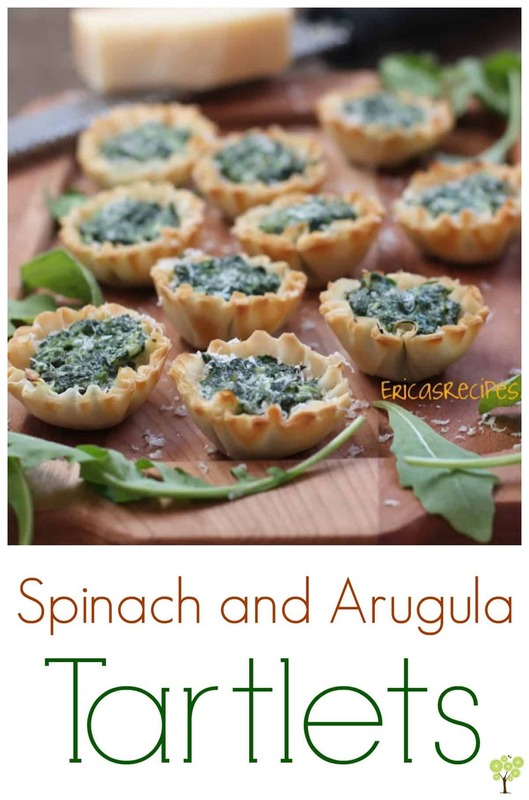 Combine the greens with the remaining ingredients except the fillo shells. Spoon the filling into the shells. Bake at 400F for about 10-15 minutes until cooked through (listen for little sizzles and it's done). 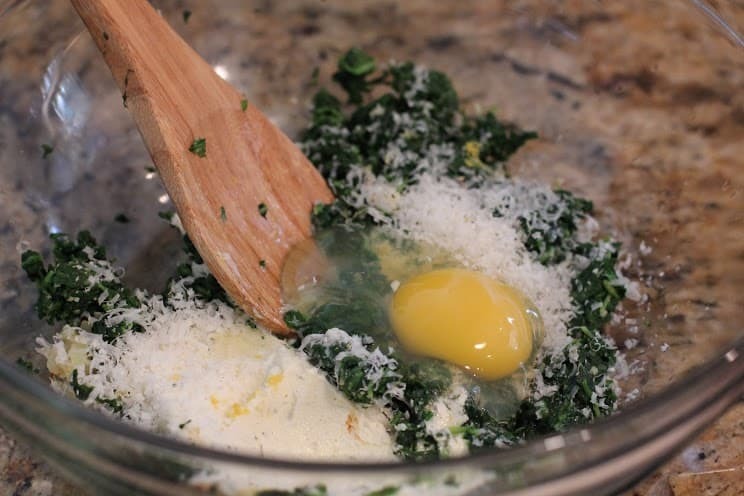 Serve with additional parmesan grated over. 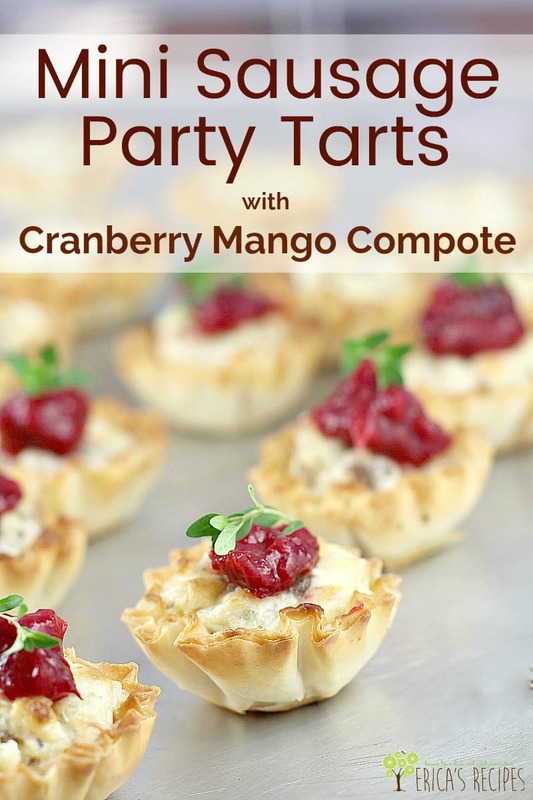 Makes 30 tarlets.